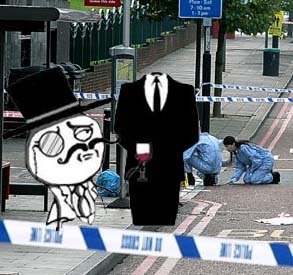 A 16 year old in South London has been picked up by the police for hacking crimes with the LulzSec group. It’s the second time a British teenager has been arrested by the police for hacking offences – 19 year old Ryan Cleary from Essex was arrested and charged last month. The FBI have been arresting Anonymous members in the states. The London teen is the only British arrest so far. LulzSec made headlines yesterday with their hack of the Sun Online and the leaking of private log-in details of Sun employees on their website. The teenager either goes by the name “iFlow” or “aslowslow” and is connected to both LulzSec and Anonymous according to the nakedsecurity blog. How important was Ryan Cleary in LulzSec? Google + iPhone app just about to go live! And of course, you can read the time at the meeting in order to control the progress.